In the ongoing war between HBO and showrunners David Benioff and D.B. Weiss over how long Game Of Thrones should run, it looks like HBO might have secured a small victory. Benioff and Weiss favor a tighter run for the series, hoping to bow out before viewers lose interest. The premium network, on the other hand, prefers a run of approximately forever. The series is still a ratings stronghold for HBO, which would prefer to keep making millions on the show. But as we previously reported in April of last year, it looked like the final two seasons of the show would be shorter than the usual 10 episodes, with only 13 episodes left of the series. 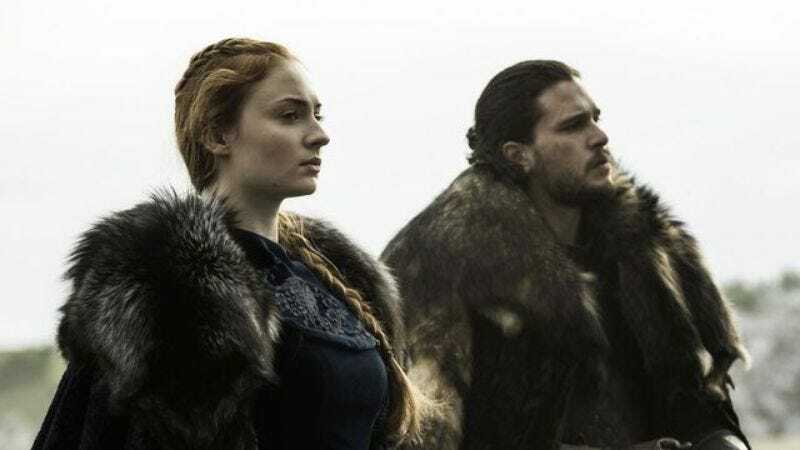 Season seven, due this summer, is still slated for a shortened season of seven episodes, but season eight’s proposed six-episode run is under reconsideration. Once the episode count is decided, HBO will likely make the show’s renewal official. “If you’re afraid we’re not going to do an eighth season, I assure you we’re going to,” Bloys said, quelling any paranoia about the lack of a formal season eight pickup. Season eight is coming—we just don’t know when it will be going.